Portrait of Geoffrey Chaucer. 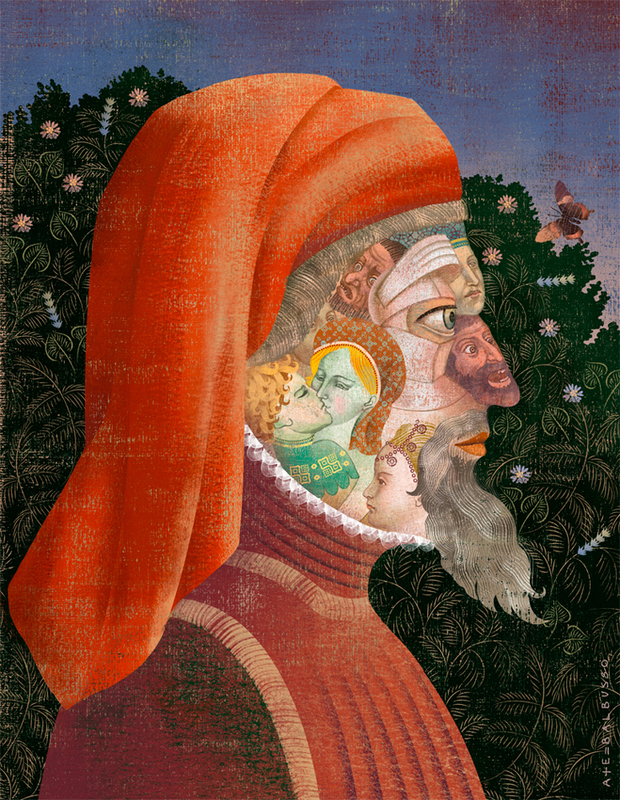 Cover art for “The Canterbury Tales” by Geoffrey Chaucer, illustrated book. The face of the greatest English poet of the Middle Ages is composed of faces of the characters of the Canterbury Tales, a collection of over 20 stories written by Geoffrey Chaucer at the end of the 14th century. In this retelling of five of the stories in modern English adapted by Robert Hill, published by Black Cat, Chaucer’s pilgrims entertain us with tales of knights and ruffians, desperate lovers, resourceful women, talking animals and more.